Cameron Babiak will be moving a little closer to home for the next stage of his hockey career. Currently a defenseman for the NAHL’s Brooking Blizzard in South Dakota, Babiak – a Saline native – has announced his commitment to Bowling Green. The lifelong Falcons fan brings two and a half years of junior experience to the BGSU blue line. After playing youth hockey for Belle Tire and Honeybaked, Babiak split the 2016-17 campaign between the Victory Honda 18U team and Brookings, before joining the Blizzard full time for 2017-18 and this season. In 2018-19, the 1999 birth-year blueliner has recorded 11 points and 71 penalty minutes in 46 games. 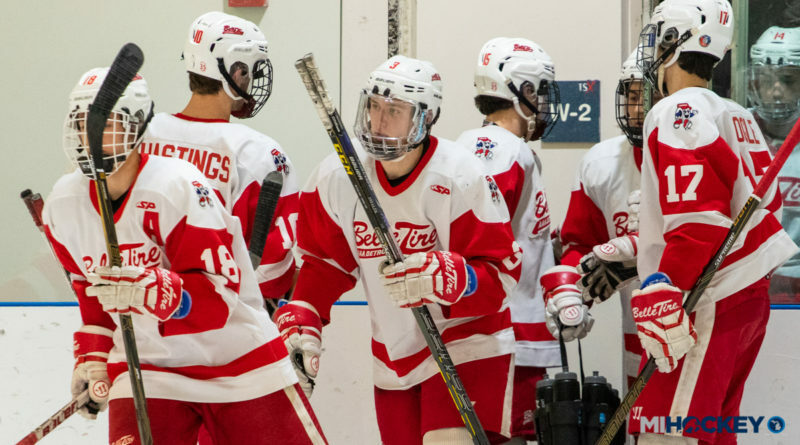 Babiak skated in the 2019 NAHL Top Prospects Tournament, as well, competing for the Central Division.